Your front door is the first thing people see when they walk up to your house. 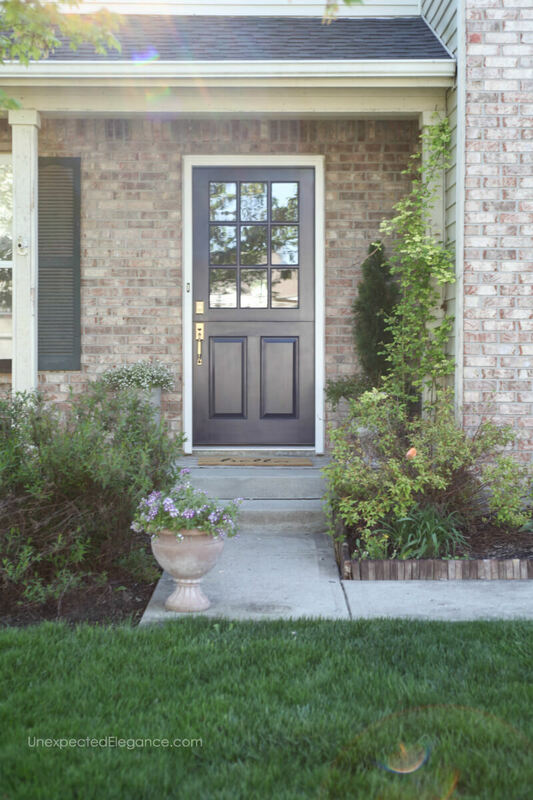 Check out these inexpensive front door updates! 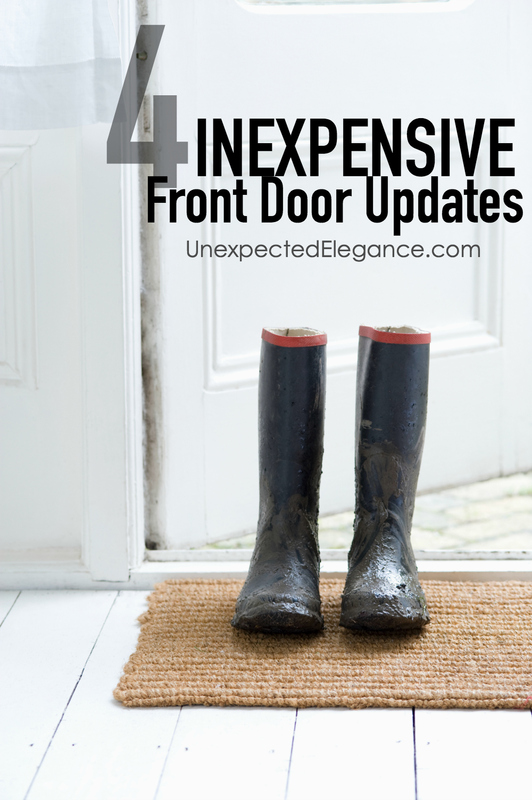 Today let’s talk about front door updates! It’s the first thing people see when they walk up to your house and is so important when it comes to curb appeal. If your front door is dingy or just needs a bit of love, there are things you can do to improve the look. It might be paint or a beautiful wreath. Either way, there are ways to update your front door that are quick, easy, and affordable. One of the easiest things you can do is paint your front door. You probably just said, DUH…I get it! 😉 To get the best results, remove the door from its hinges and take it to an open space that will allow you to sand the door down and paint it without having to worry about getting the area messy. You want to choose an outdoor paint that will stand up to the elements. Don’t be afraid to choose a bold color. For example, a bright red door can give your home a very welcoming look. Another easy way to update your front door is to purchase new hardware. You can replace the knocker, door handle, and locks to give it an updated look. 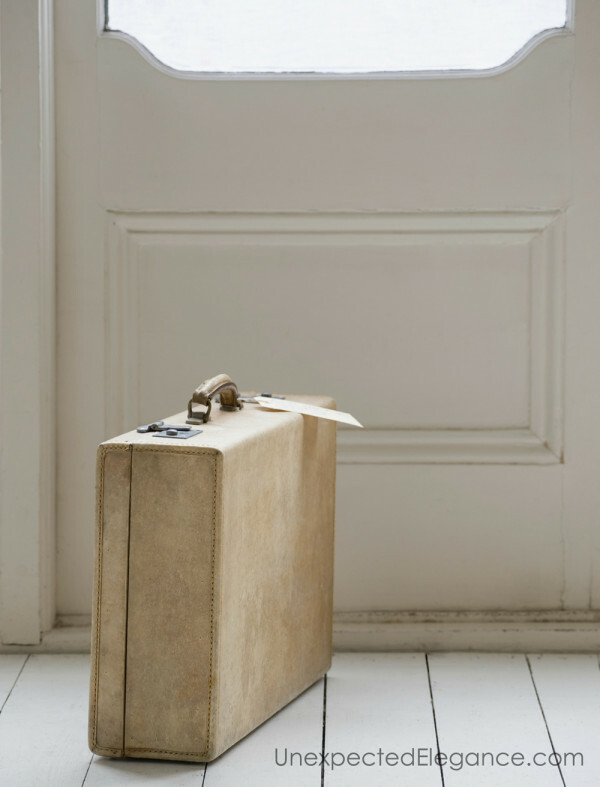 For example, if you have old gold hardware, invest in an oil-rubbed bronze, antique brass or brushed stainless color. If you like the look of your hardware, but hate the color, you can choose to paint it or use a metallic rub that you can find in your local craft store. This is also a great way to save money. Check out my recent front door makeover HERE. A wreath is another way to make your home look welcoming to guests. You can find wreaths for every season and holiday. If you love to craft, you can also make your own. You can make wreaths with ribbons or you can choose to do a natural wreath using twigs from around your yard or greenery at the holidays. For a SUPER easy wreath, check out my Facebook Live video HERE. Last, but not least, replace those old numbers on your door. Invest in metal numbers that are not only better quality but will last longer. If you don’t have numbers on your door, add them. This makes it much easier for people to find your home. Your front door doesn’t have to be an eyesore. There are so many easy things you can do to update your front door and improve the curb appeal of your home. Whether you add a wreath or new hardware, you can make your front door look beautiful and inviting to everyone that stops by.